Over the years, the choice of eggs available for sale to consumers has continued to increase. 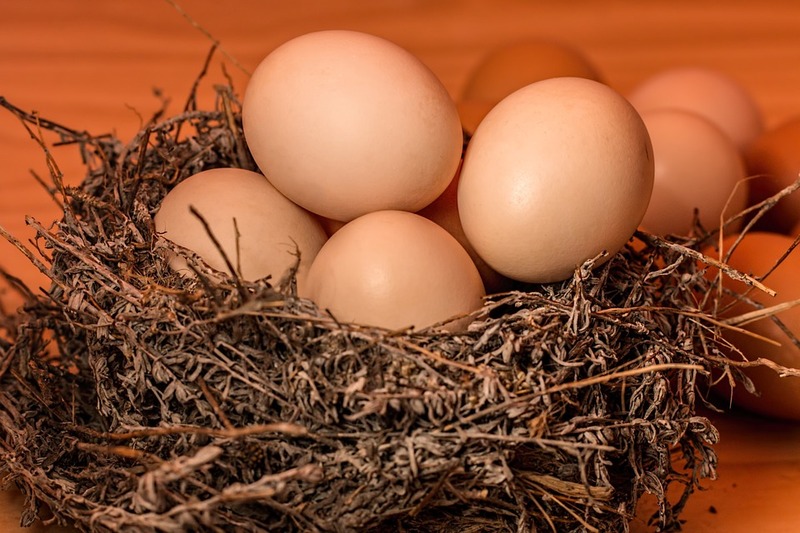 Although new egg choices including organic, free range and others have given consumers an ability to weigh their options like never before, there is also confusion about how eggs differ. Companies like Norco Ranch offer a selection of Premium egg choices including free range, cage free and organic; the three most popular outside of the conventional eggs most people purchase. For our money, the benefits of organic eggs are worth the extra cost and out shine the others. Here is a look at the three most popular types of premium eggs and why we believe organic eggs are superior. Cage-free eggs come from hens, who roam in a building, room or open area instead of the typical hen battery cage enclosure: a 16×20-inch cage that houses up to 11 birds. Battery cages can create all sorts of health issues for the chickens and increases the use of antibiotics and other chemicals. To be clear, cage-free does not necessarily mean that the hens have access to the outdoors. Nor does it indicate how much room they have to move around. The hens have bedding material such as pine shavings on the floor, and they are allowed perches and nest boxes to lay their eggs. However, they may still be at close quarters with many other hens. The standard definition of a free range chicken is: A bird that is allowed constant access to the outdoors, with plenty of fresh vegetation, sunshine and room to exercise. Moreover, it has not been given any chemicals of any kind. The reality is that free-range can simply mean the hens have an indoor space connected to an outdoor area—not that they are roaming around “free.” In addition to eating grain these hens may forage for wild plants and insects. Smaller farms may keep birds outside under a canopy area. They may travel in and out of a barn at free will or spend some portion of their day roaming outdoors. Organic eggs are laid from hens that may are only rarely kept in any type of caging system. They eat an organic feed and don’t receive vaccines or antibiotics. In order to qualify for USDA organic certification, the grains used for the hens’ diets must be produced on land that has been free from the use of toxic and persistent chemical pesticides and fertilizers for at least three years. Genetically engineered crops are not permitted, and hens must be maintained without hormones, antibiotics, and other intrusive drugs. In addition, the eggs themselves contain essential amino acids, vitamins and minerals needed to keep you healthy. For eggs to be labeled as organic, the chickens also cannot be treated with hormones, antibiotics or other pharmaceuticals. The U.S. Environmental Protection Agency notes that some of the pesticides used in food production may cause cancer, skin irritations, nervous system disruption or hormonal imbalance in humans. Organic eggs are free from any of these potentially harmful chemical residues. Lower Fat Content: Organic eggs come from chickens that must have access to the outdoors year-round. This means the hens get exercise and eat grasses, other plants and insects in addition their feed, which may improve the nutritional quality of the fat found in the eggs. Their eggs are higher in omega-3 fatty acids, that play a critical role in brain function and growth, reduce inflammation and may prevent chronic diseases such as cancer, heart disease and arthritis. Further studies have concluded that organic eggs have 1/3rd of the cholesterol and 1/4 of the saturated fat as conventional eggs. Organic contain two-thirds more vitamin A, seven times more beta-carotene and three times more vitamin E than conventional eggs. These differences likely come from the diet of organic hens that free-range. Getting more vitamin A from organic eggs helps maintain your immune system and healthy skin, hair and eyes. Beta-carotene, which accounts for the dark orange color of organic egg yolks, is a precursor to vitamin A in your body. It also functions as an antioxidant, helping to prevent chronic diseases such as cancer and heart disease. Vitamin E is also an antioxidant that helps to maintain healthy red blood cells, nerve function and cell membranes.